Already 30 of the 59 concrete measures in the Wolf Management Plan have been realized. One of the plan’s measures has been the effective intervention in cases where the wolves have visited people’s yards; these wolves have been chased away and the reasons for these visits have been examined. The project aims to find functional and commonly accepted ways for their prevention. 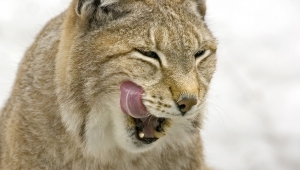 In order to secure and develop the wolf population’s monitoring, the Finnish Wildlife Agency has organized training events centered on predator observation and recording for all new Large Carnivore Contact Persons since last autumn. In order to prevent and minimize the damages to livestock, the Finnish Wildlife Agency has supported stock farmers in the acquisition and delivery of electric fence materials. In addition, neutral wolf information has been widely distributed to the citizens, especially during events organized in wolf territories. In addition to direct measures, the management plan introduces nine projects that aim to find new solutions to the difficult central issues regarding wolf population management. Seven of the projects are actively underway, and one of them focuses on the population-based hunting of wolves as part of a two-year trial. The trial’s results and a decision regarding its future continuation are due this autumn. The Finnish Wildlife Agency has been the lead partner in many of the aforementioned measures and projects. The new Wolf Management Plan aims to make the locals’ voices heard. 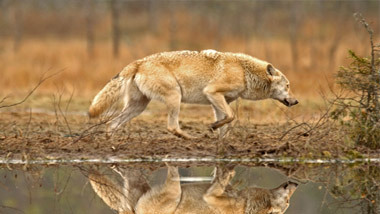 Their active participation and influence in the management plan’s development has formed the basis for the foundation of territory-specific cooperation groups which, for instance, plan the prevention of wolf-related damages, the improvement of information sharing, and the strengthening and development of cooperation measures in their own wolf territories. Their goal is to come up with practical and realizable measures. A total of 20 cooperation groups have been established in different wolf territories, and their work is supported and assisted by the Finnish Wildlife Agency. The purpose of the Wolf Management Plan and its projects is to find functional solutions for the management of the wolf populations and to improve the coexistence between humans and wolves.